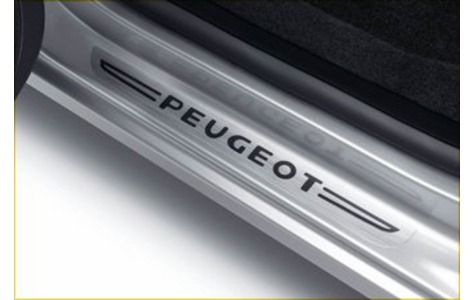 Homepage > PEUGEOT PARTNER SILL GUARDS PROTECTORS [Fits all PARTNER VAN models] VAN NEW! Front door sill guards - brushed aluminium effect. Protect against scuffs and scratches with these hard wearing polycarbonate door sill protectors. Finished in a brushed aluminium effect and embossed with the Peugeot name. Product Description: Front door sill guards - brushed aluminium effect. 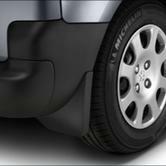 Protect against scuffs and scratches with these hard wearing polycarbonate door sill protectors. Finished in a brushed aluminium effect and embossed with the Peugeot name. Product Fitting Note: Front door sill guards - brushed aluminium effect.